Eravacycline (Xerava™), a novel fully synthetic fluorocycline, consists of the tetracyclic core scaffold with unique modifications in the tetracyclic D ring; consequently, it exhibits potent in vitro activity against Gram-positive and -negative bacterial strains expressing certain common tetracycline-specific acquired resistance mechanisms. In vitro, eravacycline exhibits potent activity against a broad spectrum of clinically relevant Gram-positive and -negative aerobic and anaerobic bacteria. Intravenous eravacycline is approved in several countries for the treatment of complicated intra-abdominal infections (cIAIs) in adult patients. In two pivotal double-blind, multinational trials in this patient population, eravacycline (infusion ≈ 1 h) was noninferior to intravenous ertapenem or meropenem at the test-of-cure visit in terms of clinical response rates in all prespecified populations. Eravacycline had an acceptable tolerability profile, with infusion site reactions, nausea, vomiting and diarrhoea the most commonly reported adverse reactions, most of which were of mild to moderate severity. Given its broad spectrum of activity against common clinically relevant pathogens (including those expressing certain tetracycline- and other antibacterial-specific acquired resistance mechanisms) and its more potent in vitro activity and better tolerability profile than tigecycline, eravacycline provides a novel emerging option for the treatment of adult patients with cIAIs, especially as empirical therapy when coverage of resistant pathogens is required. The manuscript was reviewed by:H.W. Boucher, Tufts Center for Integrated Management of Antimicrobial Resistance, Division of Geographic Medicine and Infectious Diseases Tufts Medical Center, Boston, MA, USA; L. Danziger, College of Pharmacy, University of Illinois at Chicago, Chicago, IL, USA; M. Picchio, Department of Surgery, P. Colombo Civil Hospital Velletri, Rome, Italy; J.S. Solomkin, Department of Surgery, University of Cincinnati College of Medicine, Cincinnati, OH, USA. 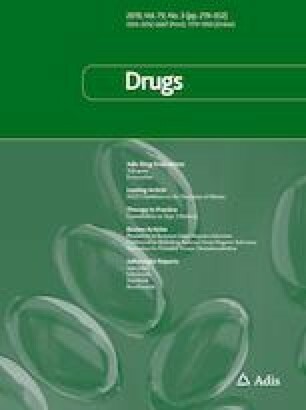 A correction to this article is available online at https://doi.org/10.1007/s40265-019-01117-w.
During the peer review process, the manufacturer of eravacycline was also offered an opportunity to review this article. Changes resulting from comments received were made on the basis of scientific and editorial merit. Lesley Scott is a salaried employee of Adis/Springer, is responsible for the article content and declares no relevant conflicts of interest. Tetraphase Pharmaceuticals Inc. Xerava (Eravacycline): US prescribing information. 2018. http://www.fda.gov. Accessed 21 Oct 2018. European Medicines Agency. Xerava (Eravacycline): summary of product characteristics. 2018. http://www.ema.europa.eu/. Accessed 1 Nov 2018. Wyeth Pharmaceuticals Inc. TYGACIL® (tigecylcine) for injection for intravenous use: US prescribing information. 2017. http://www.fda.gov. Accessed 14 Jan 2019.